Israeli politicians and the heads of the Jewish community in Hebron are calling on Prime Minister Benjamin Netanyahu to end the mandate of the Temporary International Presence in Hebron (TIPH) observer mission following a police special report that implicates several of the force’s members of illegal, violent and anti-Israel activities. Police approached the group’s leader in July 2018 regarding the incident after footage of the vandalism was published in the media. 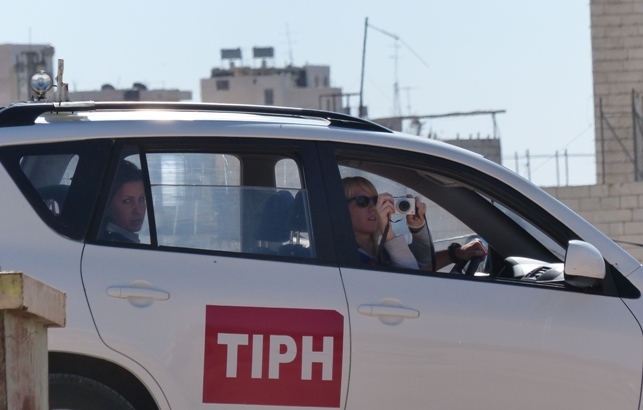 Instead of making the member available for questioning, the TIPH head delayed his response, saying the organization would conduct an “internal probe.” When police followed up a few days later, they were told the observer had already left the country. The police were forced to close the case.